Conveniently located on Main Street in downtown Port Chester between Willett Avenue and Adee Street. 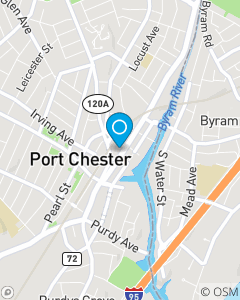 Our mission is to help our policyholders manage the risks of everyday life, provide excellent customer service, and build long lasting relationships within the Port Chester community. Our office is staffed with licensed professionals who will provide you with a free quote for your Car Insurance, Home Insurance, Renter's, Life and Business Insurance needs in New York and Connecticut. Please call, click or visit our office today. Be sure to ask about our discounts. Our staff speaks Spanish and Greek.